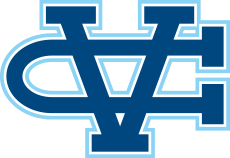 Gilroy, CA - The Valley Christian Track & Field team competed in the Avis Kelley Invitational at Gilroy High School, Saturday. The Warriors throws crew was outstanding taking home wins in both the girls and boys discus. Anna Maumalanga showed her personal best throw of 124-4 in Wednesday's dual was no fluke, winning the event with a mark of 122-8. Max Moore also took the win with a mark of 139-0, just off his season best. Camille Johnson is just one week into the track & field season after a deep post-season run by the girls basketball team and finished fifth in the shot put with a mark of 32-3. Johnson is the school record holder and all-American javelin thrower from last year's Junior Olympics but is her first attempt at Shot Put. Elizabeth He matched her breakthrough performance Wednesday once again throwing 31-1, finishing seventh. Outstanding results came in the sprints as well. Nick Trofort took second in the 100 meters with a personal best 11.23. Three Warriors placed in the top five of the Frosh-Soph boys 100 meters all running personal bests: Freshman Deven Vanderbilt took the win in 11.69, D'Von Lang was second in 11.72 and Coleman Kyles finished in 11.86 for fifth. In the girls sprints freshman Nina Berry finished fourth over-all in 13.25. She was also part of the all freshman team of Fallon Dexheimer, Nina Barry, Emily Hidalgo & Amber Lao ran a season best 52.48 in the 4 x 100 meter relay. Caitlyn Rowland ran a strong race in the 300 meter hurdles, finishing second in a season best 47.89. She also ran 61.80 in the 400 earlier in the day where she finished sixth. Freshman Katelyn Stone has had a good week, following up her 11:52 two mile with a personal best mile of 5:33. She led the Lady Warriors distance crew that also saw personal bests from Hannah Theaker (5:48) and Jordan Hahn (5:49). Sam Cuevas moves to #9 all-time for the Warriors at 800 meters with a run of 2:04.71. Jake DeMoss cracked 5 min in the mile or the first time this season running a personal best 4:56. Jonathan Pappas also had a superb day running a personal best 5:14. Zac Laidlaw running in his first ever open 400 finished second in 53.43. Skyler Loving-Black won the frosh-soph high jump with a mark of 5-6. The Warriors throws crew had an outstanding day, taking home wins in both the boys and girls discus.